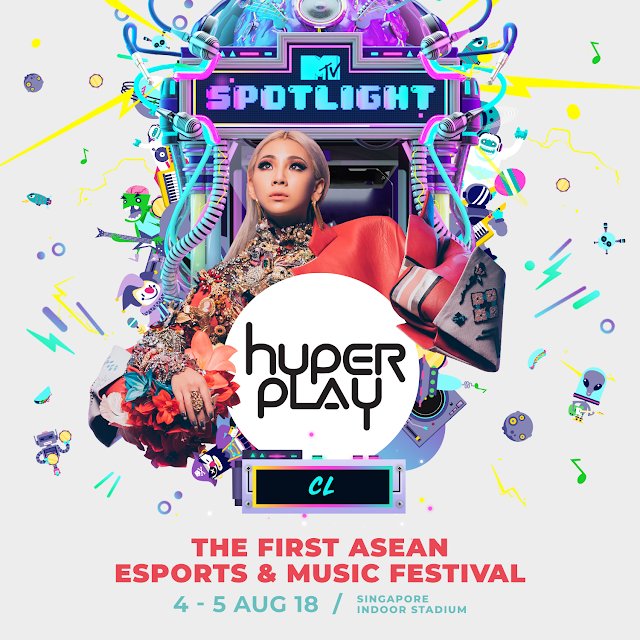 Hyperplay has revealed its first wave of performers for MTV Spotlight @ Hyperplay today with South Korea’s superstar vocalist and rapper CL, Thailand’s leading rock band Slot Machine, Indonesian idol Afgan and Singapore’s favourite The Sam Willows. Hyperplay, the first integrated ASEAN esports and music festival, is set to feature MTV Spotlight, which brings multi-genre talents onto a single stage at different times during Hyperplay. The two-day ticketed event will take place at the Singapore Indoor Stadium on Saturday, 4 August 2018 and Sunday, 5 August 2018. Additional acts will be announced in the coming weeks. Hyperplay early bird tickets are now available here or via Hyperplay. General ticket sales will open shortly. 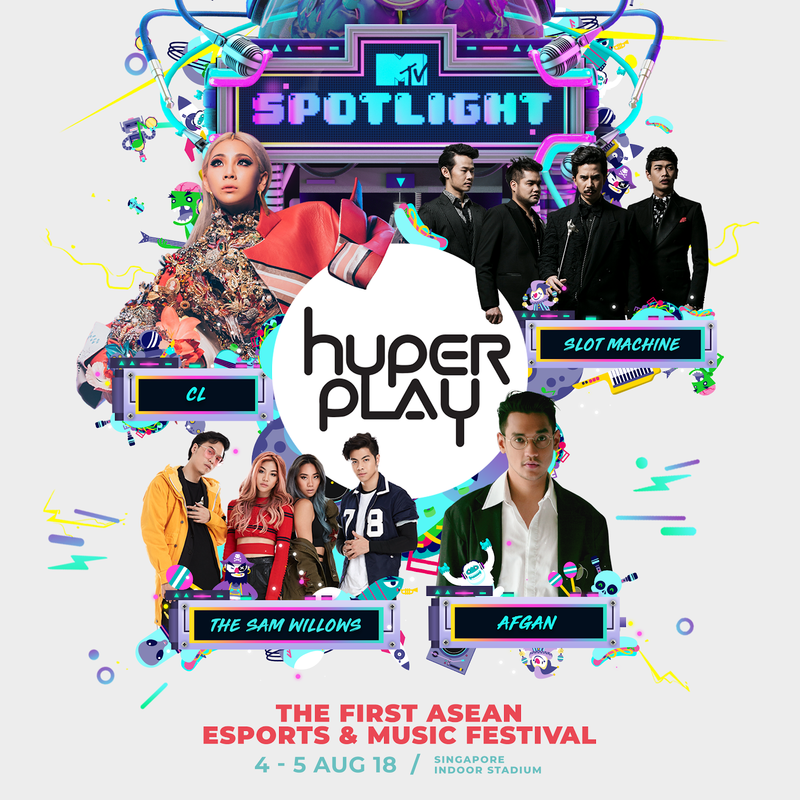 Streaming live across the two-day ticketed event on Hyperplay.sg, with key segments broadcast live across Southeast Asia, the first edition of Hyperplay will feature the first ever League of Legends ASEAN tournament with national teams from the 10 ASEAN countries. They will clash head-on in two days of intense League of Legends matches, where the victorious team will earn the title of ASEAN champion. From 11 June – 8 July 2018, fans around ASEAN(1) just need to complete a simple challenge each week. Simply submit a photo or video entry related to the weekly challenge on Facebook or Instagram and tag #WitnessHistoryAtPlay and @hyperplayofficial. Best entries from each week will also stand to win mini prizes from League of Legends or MTV. So get online and get your access to Hyperplay.